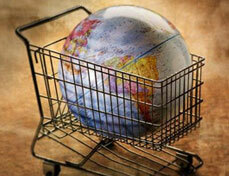 New to eCommerce | Los Angeles San Fernando Valley | Webwest Internet Solutions Inc. The most professional way to sell online is your own Miva Merchant online store, located on your own domain name, using your own merchant account. 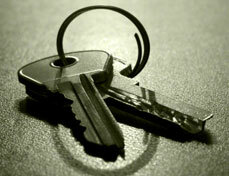 Though many clients used shared secure certificate. Your own store requires an eCommerce Web hosting package and all secure transactions will take place on your website. The money collected goes into your business bank account using your merchant account's payment gateway. Miva Merchant shopping carts can also use Paypal and Google Checkout as additional payment methods to credit cards alone. But we do configure websites to use Paypal or Google Checkout only. In terms of credit card fees and discount rates, a regular merchant account is generally less expensive and allows you to process all credit cards directly from your store without going through a 3rd party payment provider such as PayPal or Google Checkout. However, if you don't expect to do many transactions, a 3rd party payment solution may work best for your website since there's no monthly fee if you have no transactions in a particular month. Choosing the right domain name is very important with an eCommerce store. It's always best if you get your main product name in your domain name, if possible. We can help you choose the best domain name for your Miva Merchant eCommerce website. You can have multiple domain names associated with your eCommerce website but you only want one to answer so that search engines don't penalize your site for duplicate content. You could still use Email on any secondary domain names you have in your web hosting account. Check a domain name's availability using LA Servers's Whois Tool. We can help you choose which Miva Merchant eCommerce Web hosting package is right for your website needs. Our Miva Merchant Web hosting packages start at $34.95 per month or $349.95 per year. Having been a MivaCentral partner since Miva Merchant version 2 (when it was MvCool), we have worked with and know Miva Merchant modules and how to customize your online store using the latest technology. We offer professional merchant accounts as a partner of Payquake. Our merchant accounts come with an Authorize.net payment gateway. 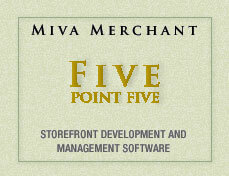 Miva Merchant comes stock with several other payment gateway methods included too. If you already have a merchant account with a payment gateway other than Authorize.net, contact us to make sure your payment gateway will work with Miva Merchant. We personally use the Authorize.net payment gateway and feel that it is the best and most reliable but other gateways work fine too. Any business bank account will work with your merchant account. Your bank account number is configured into your merchant account so that the money collected travels through your payment gateway into your bank account. You'll need a business license in order to get a business bank account. SSL stands for secure socket layer. Secure webpage URLs begin with https, signifying that all information is encrypted as it travels across the web. 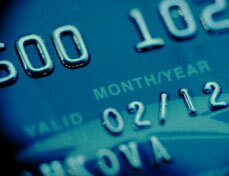 Shopping carts go into secure mode when transferring credit card data from an online store. Web browsers activate their "lock" while accessing secure web pages. Through our sister site LA Servers International, we're a Geotrust Business Partner and offer Dedicated Geotrust SSL Certificates at discount prices. We'll purchase a SSL Certificate for you and install it for free on your LA Servers Web hosting package! Other types of Ecommerce are Paypal and Google Checkout, known as 3rd party eCommerce payment processors. As with all 3rd party payment processors, the transactions take place on the 3rd party's website, not yours. If you use Paypal or Google Checkout only, you may not need a merchant account or Miva Merchant shopping cart since these transactions are proccessed on Paypal or Google's websites. In this case, all you need is an active account with Paypal or Google. Paypal or Google will collect the money from your transactions, take out their service fees, and then pay you.